Available on May 14, 2019! Anytime a book is released to the pubic that I helped to design is a special moment. SUMO JOE has even more significance, since this is my first picture book that I designed and art directed! The fun rhyming story is by author Mia Wenjen and Nat Iwata created the colorful and dynamic illustrations. Beyond the narrative, this book also includes an illustrated glossary of Sumo terms and more information on Aikido. The book’s energy is simply contagious. 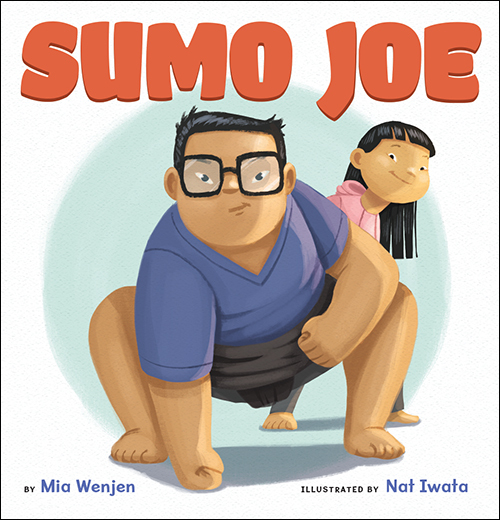 Kirkus recently reviewed SUMO JOE and they too are excited for this book and think it’s a refreshing, modern take on a martial arts themed picture book. Hooray, Hooray! Pre-order you copy now or mark you calendars for May 14, 2019 when this book will be available on-line and at your local bookstore. Ask your libraries to carry it too!